Are you a Reiki healer? I’m a Reiki Master but have developed my own form of healing throughout the 15+ years I’ve been a healer, so I don’t call myself specifically a Reiki healer anymore. From all the many modalities and forms of healing and bodywork that I’ve learned in the past, my own unique way of utilizing the universal power of healing energy has naturally and intuitively evolved and developed. My approach is similar to what you would experience in a traditional Reiki healing session but it has evolved beyond the concept and modality of Reiki. I work directly with Source energy so it’s the purest form of healing there is (it’s beyond belief-systems and concepts). Do I have to believe in something? No beliefs or faith required. Just come to the session with an open mind. Actually the more you let go of any preconceived ideas about healing the better experience you will have. Fully allow the experience and relax into the healing energy and let it do what needs to be done in you and in your life. Drink lots of water both before and after the healing session and it’s best to not drink too much caffeine before the session or use perfume, cologne or other strongly scented products. Wear loose comfortable clothes and have a clear intention for the session. The intention is something I will help you clarify in our conversation together before the session. After the session I advice you to take some quiet time alone to integrate the healing work so it’s best to not schedule anything demanding directly afterwards. All I need is your name, and if you are receiving distant healing then I will also ask for your location (city/country is enough). Is the distant healing done on Skype while we talk? No, I’ll do the distant healing session when I’m alone (offline) directly after we’ve ended our conversation. I do the healing in a meditative state where I connect energetically with the Truth of your being and work intuitively with it. How many sessions that is needed varies from person to person and on what they want to accomplish and achieve. Many times clients experience a huge shift in one single session but for even deeper and continuous growth you can have regularly scheduled appointments each month (or bi-weekly) to further progress on your spiritual and personal life path. How is a healing session given? By you laying down in a comfortable place somewhere where you can be undisturbed and with your eyes closed and arms and legs uncrossed. You might feel physical sensations such as tingling, vibrations, twitching and also physically and emotionally feel the release of energy as it gets unblocked. Simply email me and I’m happy to clarify further if there’s anything you’d like to ask. How can healing help/benefit me? Healing helps you get into alignment with your natural state of being and deepens your connection with yourself and your relationship with life and others. It helps you increase mental, emotional and spiritual clarity and well-being so that you can experience a deeper sense of connectedness and inner peace. Oftentimes clients experience a deep relaxation that helps the body to release and let go of stress, tension, and subconscious fears and worries. When these unconscious/subconscious blockages are removed, a sense of renewal and liberation comes over the person that allows them to move forward in life with a new sense of inner joy and peace. Healing also helps to support your continuous spiritual and personal growth and clears away anything that is hindering you from progressing on your spiritual and personal life path. Healing helps you get aligned with the Universe. Who is your healing sessions for? Healing sessions with me are for anyone who wants to connect with their inner power and flow and embark on the fastest path to growth and transformation. It’s for people who genuinely want to evolve, progress and move forward and upwards in their life. Do you work with healing physical problems? Although physical healings can happen spontaneously since energy healing activates and accelerates the body’s self-healing abilities, but it’s not where my focus is. As I’ve evolved as a healer throughout the years I’ve come to specialize myself in working specifically with consciousness and on an energetic level. 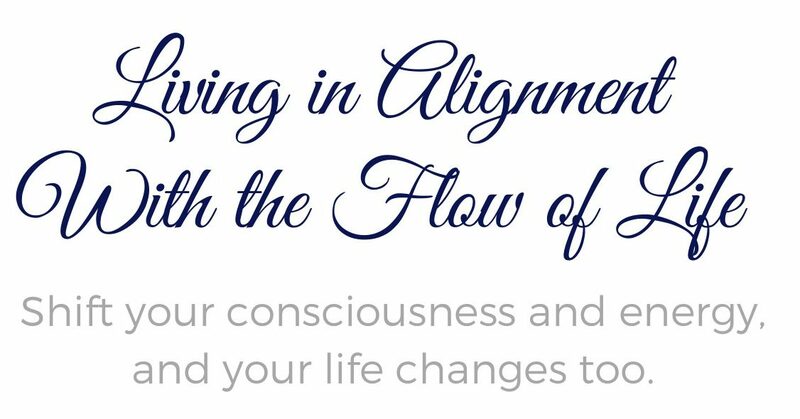 My work is about helping my clients get in alignment with the flow of Life so that they can live in harmony with the Universe. Does your energy drain after giving healing to someone? No, it doesn’t drain me because I’m not giving from my personal energy. I’m channeling the universal energy; it flows through me to the person I’m giving healing. I’m a channel through which the energy does its work. How do I know if healing sessions with you is right for me? There’s a lot of different types of healing available in the world. What often happens is that people many times find me when they have been asking (or praying) to be shown the next step on their journey. There are no coincidences. The right people always comes into our lives when we are ready for it. If you feel drawn to me, then trust that Life has guided you to me. How do I know the healing is “working”? There can be life-changing shifts that you experience right away, and there can also be subtle shifts that start to unfold over time after the healing session(s). Something new usually always opens up (you experience a breakthrough), and you’ll have a new sense of confidence and “oomph” even if you were feeling unclear or uninspired before. Emotionally you will feel uplifted, empowered and more present in the Now and filled with lightness (relief) and a sense of increased well-being and general optimism. Any heaviness melts away and an inner sense of deep peace and harmony comes over you as a result of the shift in energy and consciousness. Clients usually experience more synchronicity, signs, and happy coincidences where things suddenly start to come together and fall into place for them. They also feel more connected to their inner truth and intuition and have an increased awareness of themselves (self-awareness) and the energy around them. When you’re in flow with Life you live in harmony with yourself and the Universe, and from that alignment, your truest (and best) life unfolds.